The strength of the 20 mm-thick tiles means users can lay them directly onto the laying bed without gluing. This technique is particularly versatile and can be used with most common outdoor laying beds, such as grass, gravel, and sand. 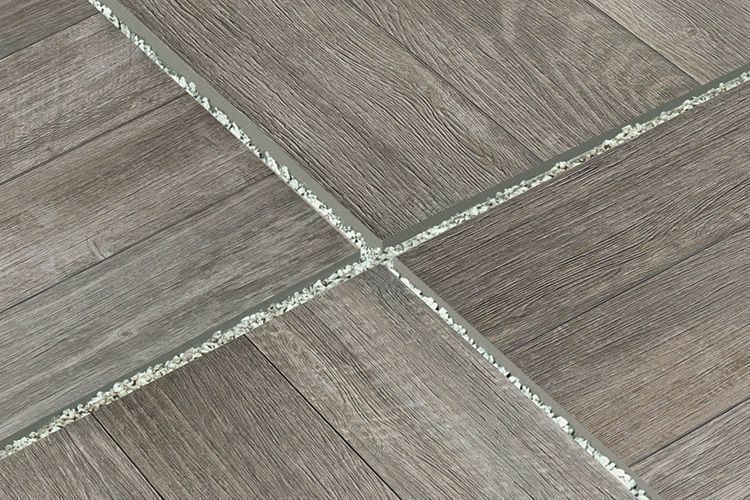 The elegance of the K2 slabs means users can create stylish designs in both homes and public spaces, quickly and easily, without the need for specialist fitters. 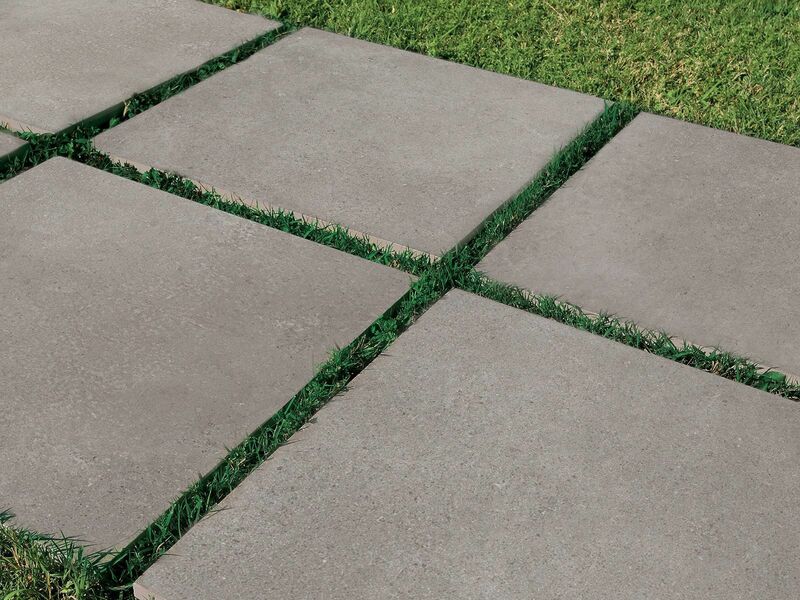 Where there are lawns, be they in public areas or private homes, the tiles must be dry laid on top of this grass without using any building adhesives. 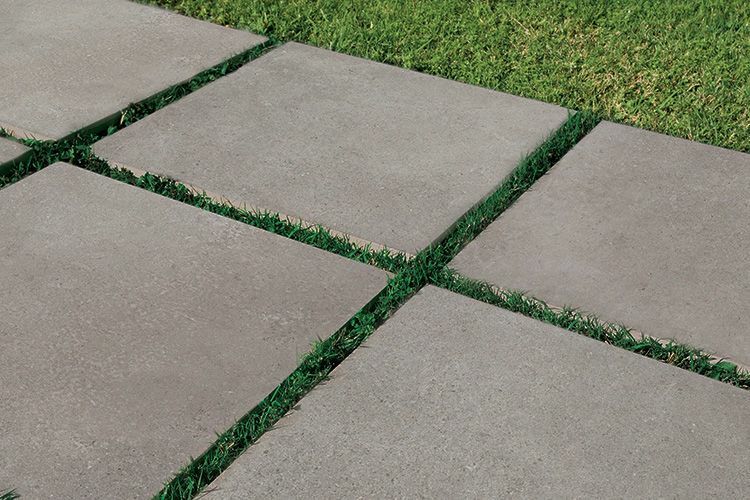 This allows users to change the paving at any time, reusing the same material several times. 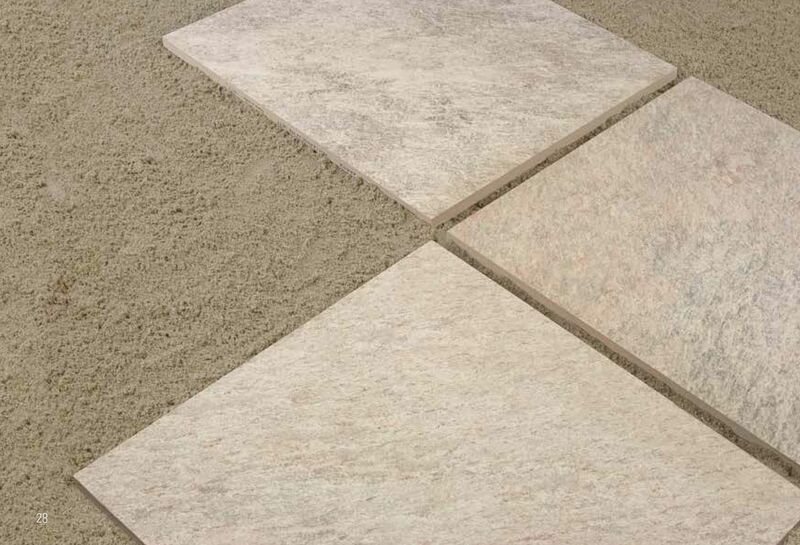 Dry-laying does not require specialist fitters and the tiling is ready for use as soon as the job is finished. 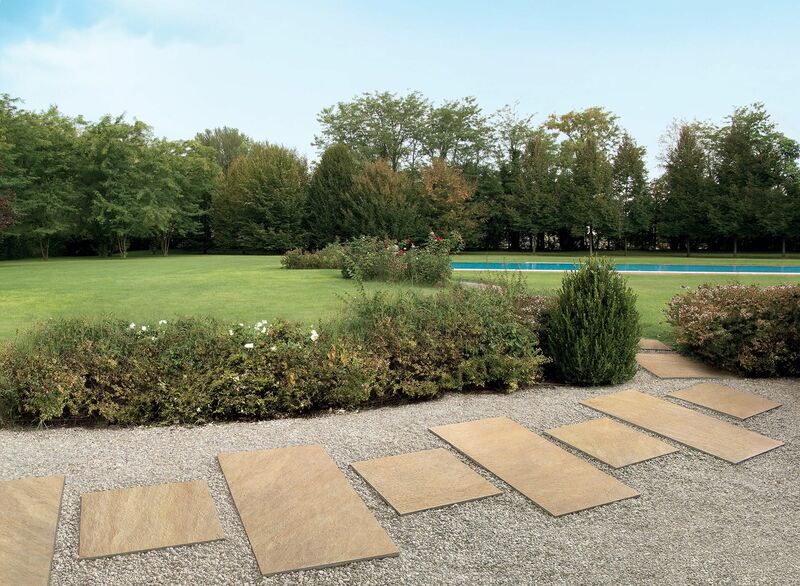 Apart from the attractive decorative effects that can be created, this system is particularly recommended in areas where drainage of the water in the underlying soil is a problem, and also for cement or concrete laying beds, such as on balconies or terraces. 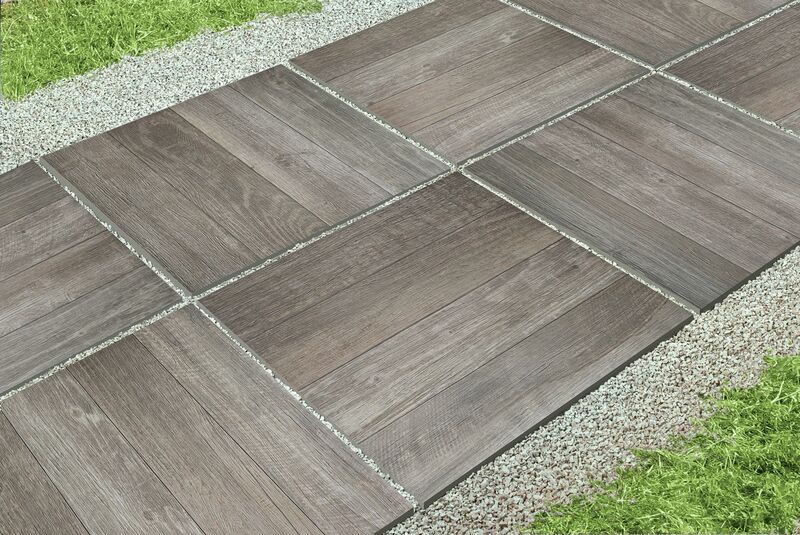 The tiles can be laid dry by simply placing them on top of the previously prepared gravel base, without the need for building adhesives. 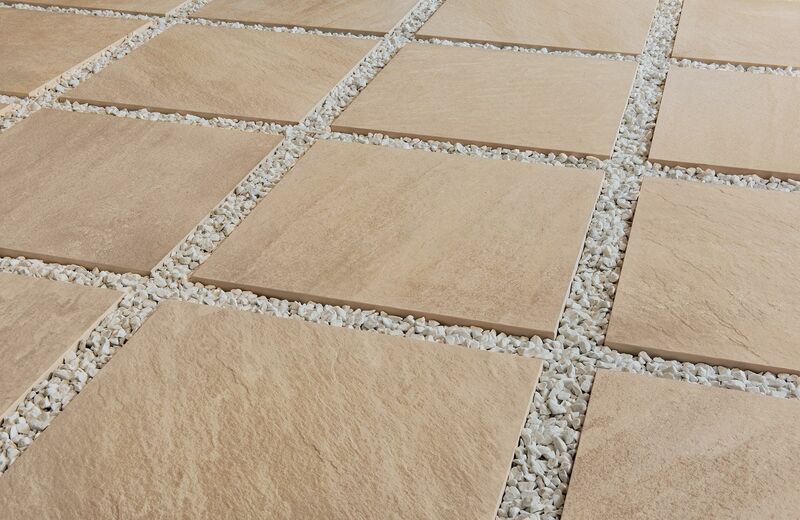 This means the tiling is easily levelled out on top of the gravel and is ready for use immediately afterwards. 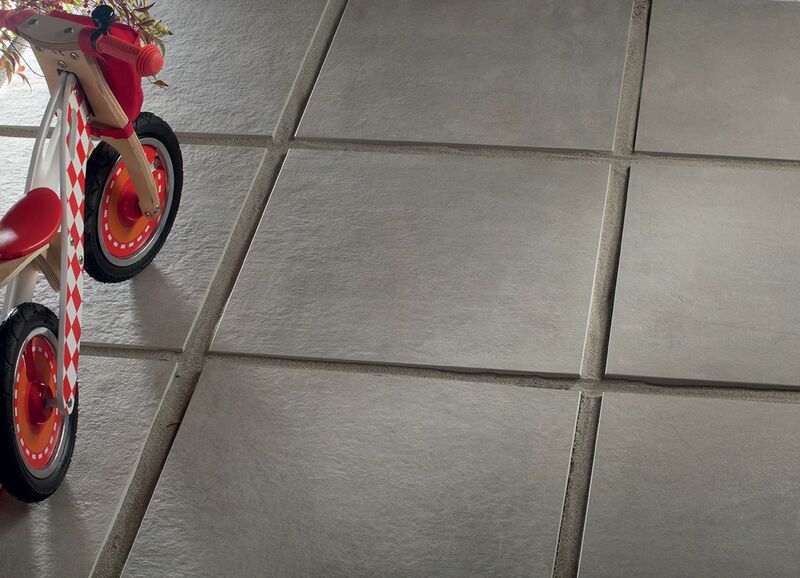 The tiles can be laid dry by simply placing them in the desired position, without the need for building adhesives. This method does not require specialist fitters and allows users to change the paving at any time or reuse the same material several times, even in different locations. The advanced technical features of the 2 cm-thick K2 collections, combined with an adhesive laying technique in screed, allow users to create perfectly stable and exceptionally hard-wearing surfaces. The K2 slabs used with this solution can withstand both moving and parked vehicles. 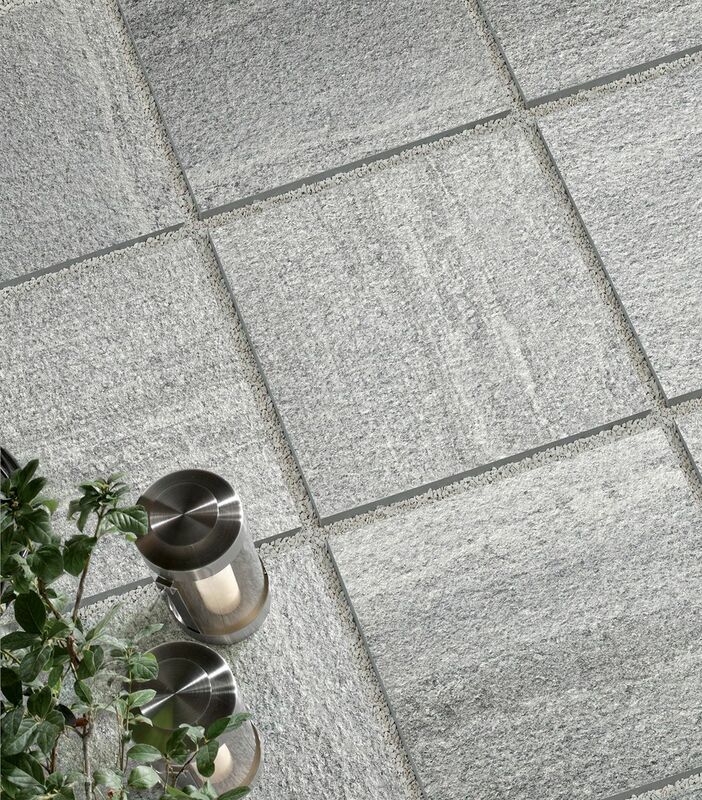 Ideal for heavily frequented city areas, in particular for squares, pavements, or cycle paths. Ideal for areas open to vehicle traffic. Ideal for areas frequented by large numbers of pedestrians. K2 porcelain stoneware slabs can be used in conjunction with a support framework consisting of polypropylene bearing struts. The support is fully adjustable and allows the creation, on any substrate, of raised floors, allowing for the installation of electrical and water systems in the cavity below. For a correct use read the warnings. Allows wiring and piping to be housed. Better heating and sound insulation. Fewer costs and quicker installation. Significantly lighter load as no screed required. Service facilities in businesses and public buildings. SYSTEM FOR RAISED FLOORS FOR USE OUTDOORS. An innovative and practical laying system for use with raised floors. The system comprises a polypropylene support frame which holds the K2 porcelain stoneware tiles produced by Ceramiche Keope and heightadjustable pedestals. 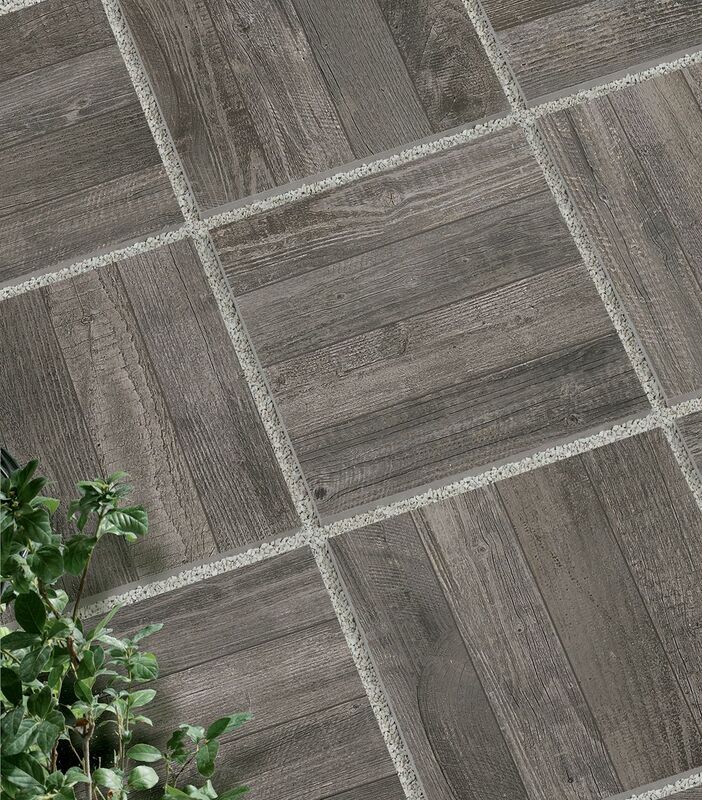 This means that different sized tiles can be laid together, with the utmost safety standards and without the need for any reinforcement on the back of the slabs. 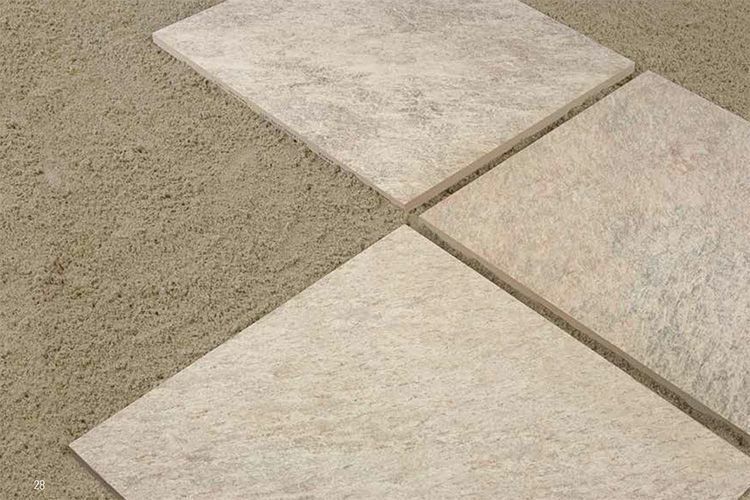 Since the tiles can be shaped during laying, the system is easy to fit and suitable for any laying design. The height-adjustable pedestals also ensure perfectly flat surfaces.